What are the best hiking shoes for women? It all depends on your destination. Take a look at various options and find the one that’s right for you! Sometimes you need more than just a pair of sneakers for various outdoor adventures. Keeping feet comfortable, no matter where you’re hiking, is key to having a fabulous time. This may mean a waterproof shoe or a shoe with a lot of ankle support. Treat your feet right: they carry you around on all your adventures, after all! So what are the best hiking shoes for women? For camping, hikes on rocky or mountainous terrain, multiple day treks, and carrying a lot of weight, you want your footwear to go above the ankle to protect rolling your ankles. You’ll also want waterproof shoes for mud and rain. The more weight you carry, the more stress is on your feet and ankles. Having a pair of boots to support you through any terrain–carrying anything–is important. If you are hiking for multiple days, you want your feet to have maximum protection; boots are the way to go. Something like this classic Ahnu Montara over-the-ankle hiking boot is what you’re looking for. If you’ll be experiencing challenging terrain or rigorous trekking, the above styles are definitely the best women’s hiking options. TFG Says: To do the Everest Trek in March I opted for this Meindl style since I was looking at rough terrain, some snow, and rain. 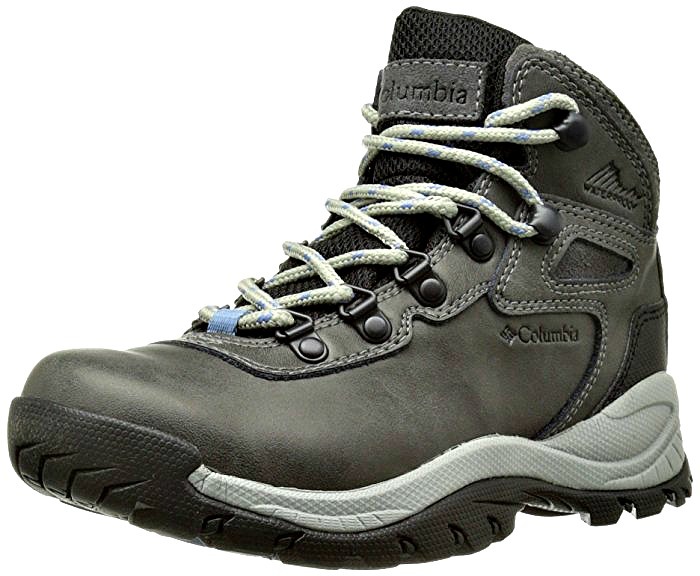 Pros: very comfortable, sturdy, full support, waterproof, and I liked the solid brown color. Cons: they’re heavy so I would plan to wear it on the flight not pack it in your suitcase. Hiking shoes are ideal for when the terrain is not rocky, but you’ll be walking long distances, like day hikes. Hiking shoes vary from tennis/active shoes in that they’re made of thicker, waterproof material, instead of cotton that will soak through quickly if wet. Some active shoes are very thin, and not made for trudging through mud and muck. If you are hiking in any national parks or through mud, you’ll want a pair of hiking shoes. Think hiking through a muddy neighborhood in the English countryside or a muddy trail at a national park. You don’t necessarily need a thick pair of hiking boots for this–since it’s just a day adventure–but you also don’t want your thin gym shoes. 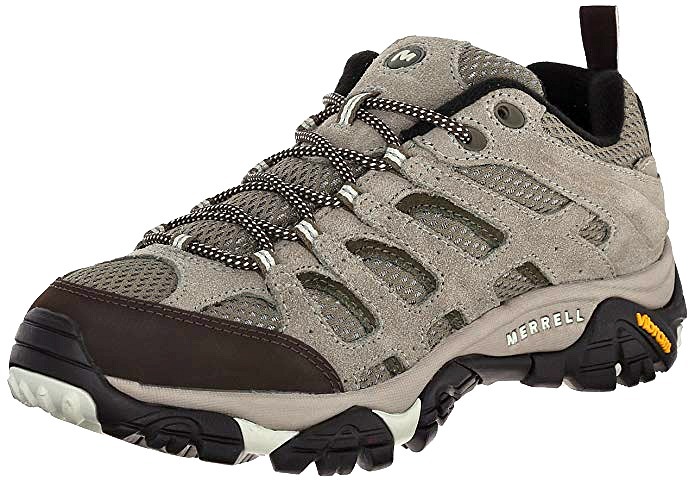 The best hiking shoes for women with a less intense itinerary is something like these Merrells. Active shoes can work in summer destinations or where hiking in rain isn’t really an issue, like the beach or the desert. You don’t want thick hiking shoes if you’re going to a beach destination! If you plan on doing any long walks, like in the Everglades where there are paved paths, or you are going to be hiking in very dry climates, these are the ideal shoes. They are lightweight and pack well, so unless you’re doing any major mountainous hikes, trainers like those shown above should be sufficient. 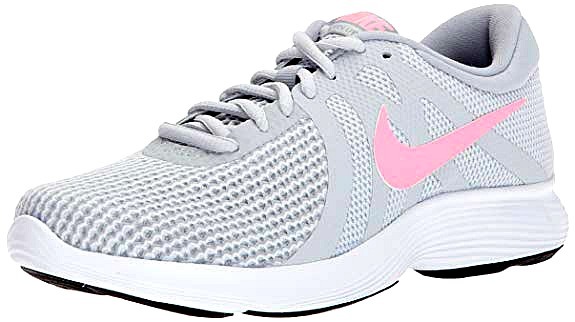 A pair of lightweight running shoes, like these Nikes, will work well. Water shoes are needed when you’ll be trudging through creeks, streams, or waterfalls. For some hikes that go through water, like The Narrows in Zion or some of the trails in the Great Smokey Mountains, you’ll need a pair of shoes that can be immersed in water. It’s a different than getting rain on your shoes, or going through muddy spots–this is complete immersion. 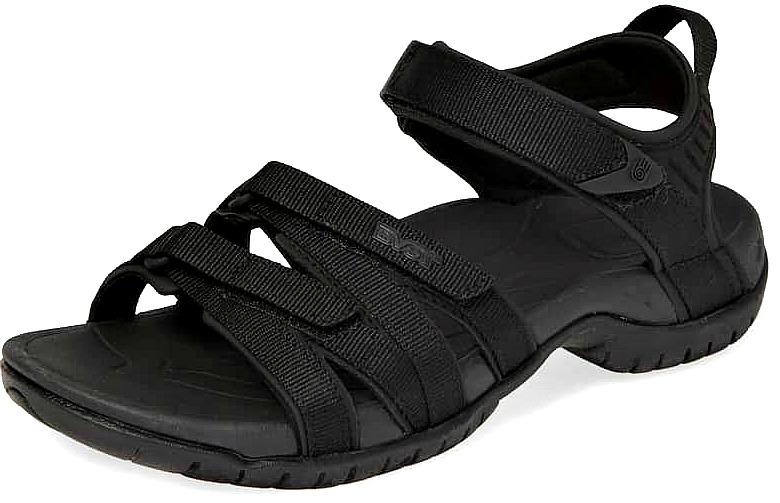 The best hiking shoes for women that will be completely immersing their feet in water while on a hike is a breathable pair–like this pair of Tevas–to keep your feet from getting moist and pruney, causing blisters. 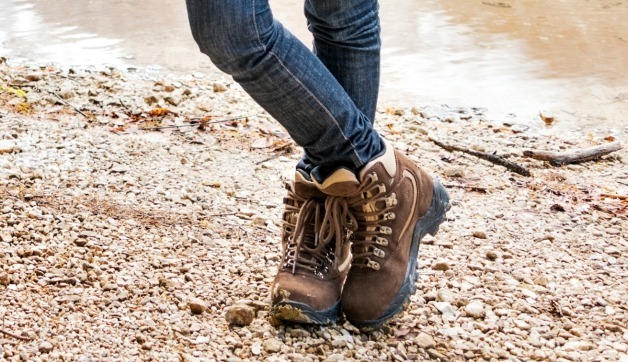 What do you think are the best hiking shoes for women? Comment below! What Travel Shoes Should I Pack for a RTW Trip? 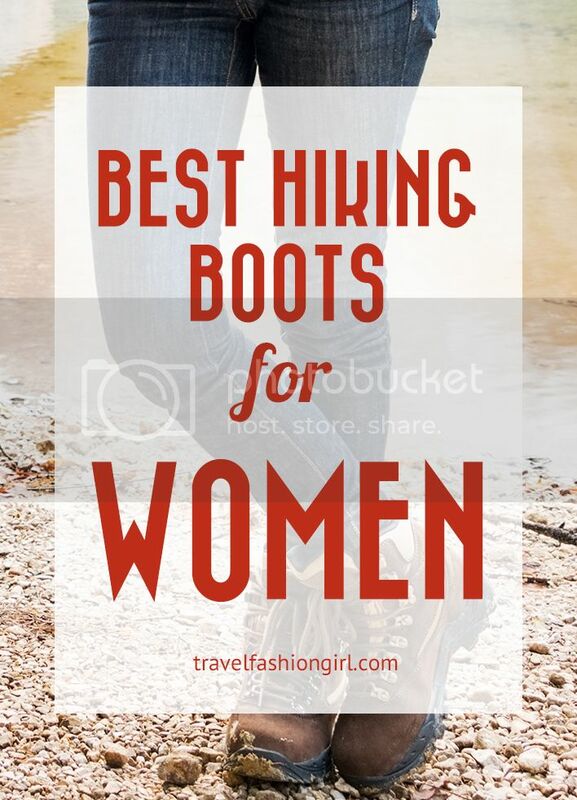 Hope you liked this post on best hiking shoes for women. Please share with your friends on Facebook, Twitter, and Pinterest. Thanks for reading! Author Bio: Nina Thomas is constantly looking for a beautiful view and a good adventure. Her travel highlights include hiking in Patagonia, sheep-gazing in the Cotswolds, and horseback riding in Ecuador. 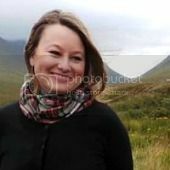 For practical travel tips from an Ohio Girl, check out her website Traveling with Nina or follow her on Twitter and Instagram. You’re welcome 🙂 As that is a stock photo we don’t know the exact brand, but this one is similar to Ahnu shown under it. Great ideas on hiking shoes! Thank you! Thank you Feli 🙂 So glad you find it useful! Great post on choosing good shoes based on what type of trip or tour you are taking. Going to share this post- I always have friends asking what kinds of footwear to choose for even weekend adventures! I’m glad you like it April 🙂 I totally agree about wearing new shoes! Comfort is key when choosing hiking boots!